Lyrical Sanctuary is UWM’s monthly open mic night, featuring standout spoken word artists, live music and art, and YOU! Now in its seventeenth season, Lyrical Sanctuary has brought students and community members together to share their passion for poetry, music, art, and creative self-expression. 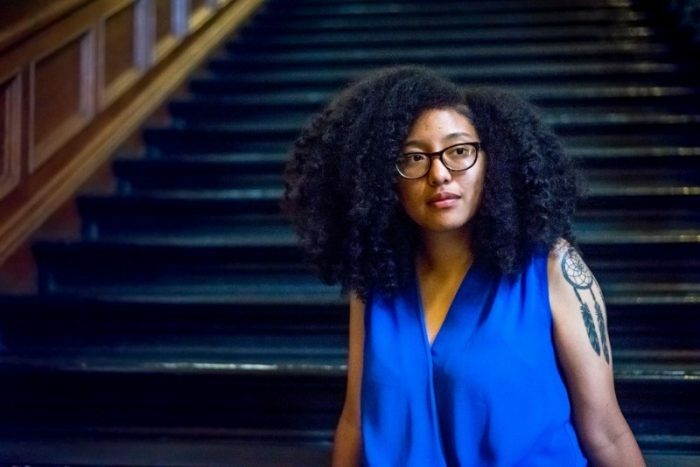 In celebration of Latinx Heritage Month, the Black Mexican American poet, performer, and workshop facilitator Ariana Brown will be our feature. Ariana’s work speaks about Blackness in a Mexican American context, mental health, spirituality, womanhood, and healing. Sponsored by: Sociocultural Programming, Campus Activities Board, the Department of Women & Gender Studies, Women’s Resource Center, and the Latin American, Caribbean, and United States Latin@ Studies.